简介：DI Humphrey Goodman and his team are back solving increasingly puzzling murders on the beautiful island of Saint Marie - from a body on a volcano to a two-part story which takes the team to London. But it’s not just the crime which is troubling Humphrey - as his relationship with Martha blossoms, will the course of true love run smoothly? Meanwhile the team are concerned for Sergeant Florence Cassell when an old friend is found dead. Dwayne is forced to confront his past, JP turns to Dwayne for marriage guidance and Selwyn’s intervention in a case puts Catherine at the centre of the mayoral elections. 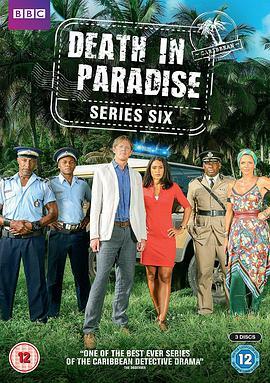 The sixth series of the hugely popular show delivers its usual recipe of fun, emotion and intrigue - with a few surprises too - all served up in the glorious Caribbean sunshine.